Oasis of the Seas, during its construction, in Turku, Finland. 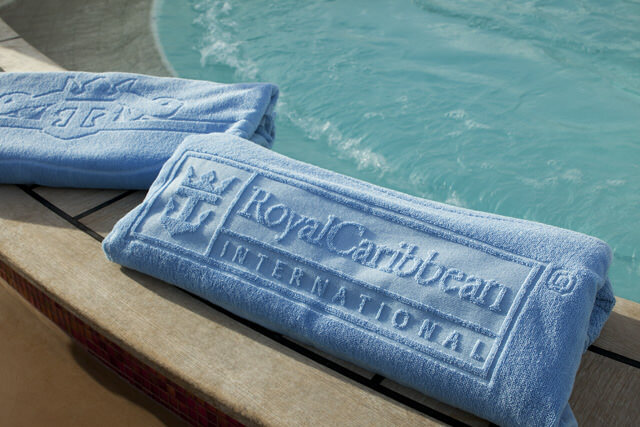 With a fleet that includes some of the world’s biggest cruise ships, and a history of being at the forefront of cruising innovation, Royal Caribbean is one of the biggest names in the cruise business — and, among the mainstream lines, one of the best. Our Royal Caribbean reviews help you to make informed cruise vacation decisions about which Royal Caribbean ship best fits your style. The line’s push for larger and larger ships began with its launch of the 73,200-ton Sovereign of the Seas in 1988, then went supersized with the 1999 launch of the 138,000-ton, 3,114-guest Voyager of the Seas, which tore up the rule book for cruise ship design and attractions. 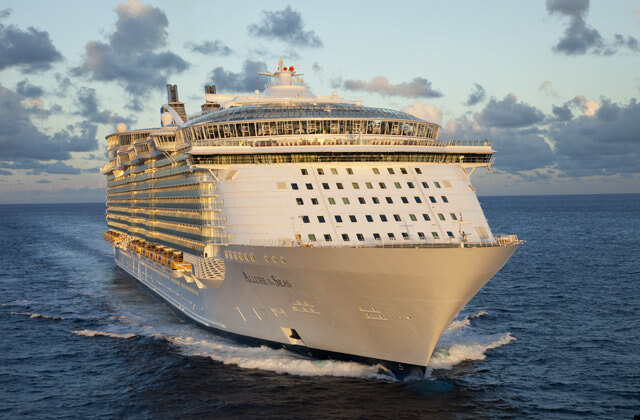 A decade later, fully half of the line’s fleet is made up of Voyager‘s sister ships and their newer and larger cousins, including the 5,400-guest Oasis of the Sea and Allure of the Seas, the current world record holders. Beyond size, Royal Caribbean has also been an innovator in terms of the kinds of things you can do aboard ships — from rock climbing, ice skating, and ziplining to seeing full-scale Broadway shows and strolling around in a 21,000-square-foot open-air tropical garden. All in all, Royal Caribbean’s ships offer the largest variety of activities and sports facilities at sea, and the newer and bigger the ship, the more it offers. Voyager-class ships offer rock-climbing walls, ice-skating rinks, basketball and volleyball courts, miniature-golf courses, in-line skating tracks, enormous gyms and spas, and great children’s facilities that include an outdoor kids’ pool area with a waterslide. The larger Freedom-class ships add an on-deck surfing simulator, a huge kids’ water park full of water canons and sprayers, and a boxing ring in the gym. The Oasis-class ships take everything to the next level, with everything from the older ships plus a while open-air, “boardwalk”-themed district devoted to family entertainment, a huge outdoor pool that puts on high-dive shows, and some of the biggest kids’ facilities at sea. While the line’s older Radiance-, Vision-, and Monarch-class ships don’t offer quite as many high-profile diversions, Royal Caribbean has been good at retrofitting some of the WOW elements from its newer ships to the older ones, where it can. 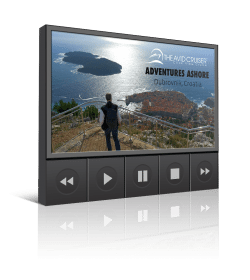 Entertainment-wise, Royal Caribbean is among the best at sea. Its newest ships, Oasis and Allure of the Seas, both feature real Broadway productions—Chicago: The Musical on Allure and Hairspray! on Oasis, and the line is working toward expanding that trend out to other ships in the fleet. There are also song-and-dance revues, dance competitions, karaoke, and some amazing ice shows on the Voyager-, Freedom-, and Oasis-class ships. 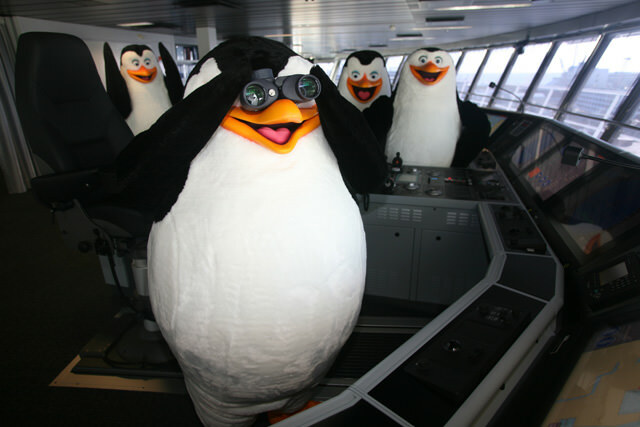 Dreamworks characters – like the penguins from the movie Madagascar – turn up aboard Allure of the Seas. Photo courtesy of Royal Caribbean. For kids, a recent and still-expanding partnerships with DreamWorks Animation brings characters from films like Madagascar, Shrek, and Kung Fu Panda aboard for parades, character breakfasts, photo ops, and other programming. Currently, the DreamWorks events are only aboard Oasis, Allure, Liberty, and Freedom of the Seas. Features like the DreamWorks experience, the huge kids’ centers and nonstop kids’ activities, the outdoor water parks make Royal Caribbean one of the top two choices in the cruise business for families with young kids, along with Disney Cruise Line. Royal Caribbean has even begun catering to the babies-and-toddlers crowd, with “Royal Babies” interactive classes for parents and kids 6 to 36 months. Aboard Oasis, Allure, Freedom, Liberty, and Radiance of the Seas, there are also Royal Babies and Tots nurseries that offers professional care, playgroups, and activities for the youngest youngsters. Expect more nurseries to open across the fleet as Royal Caribbean continues to retrofit its newer innovations to its older vessels. Dining aboard Royal Caribbean is a mix of cruise traditions and newer innovations. As aboard many other lines, you can choose to either take your dinner in the main restaurant at a fixed time, or you can choose the “My Time Dining” option and eat whenever it’s most convenient for you that day. 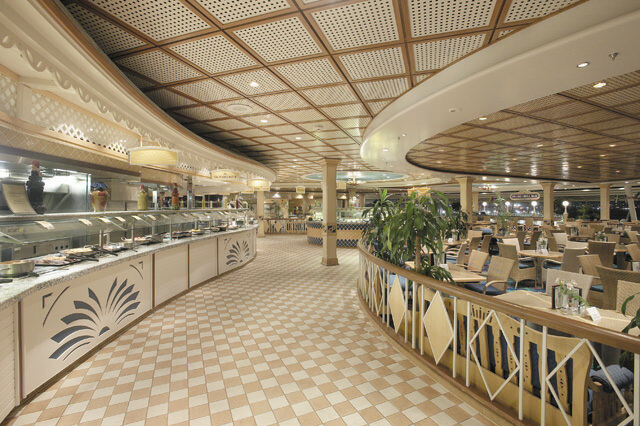 You can also dine at one of the ships’ alternative, extra-cost specialty restaurants; have a casual dinner at the open-seating buffet restaurant; or grab a quick bite from a variety of coffee shops, pizzerias, and other options scattered around the ships. 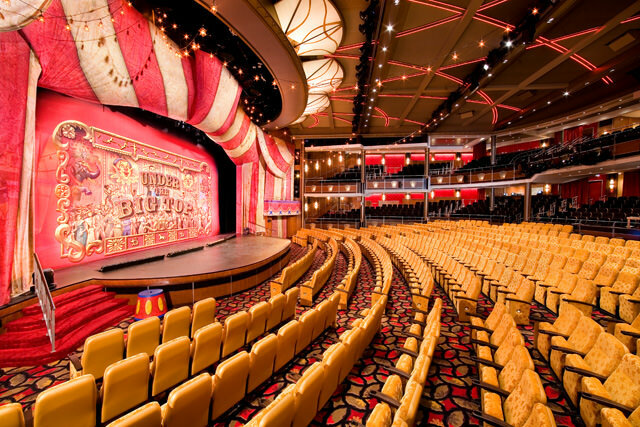 Quantum of the Seas Live Report – Day 1: In A Word, Wow! Allure Of The Seas Nearing Completion: Sea Trials Are Next, Will Allure List A Mere Three Degrees? 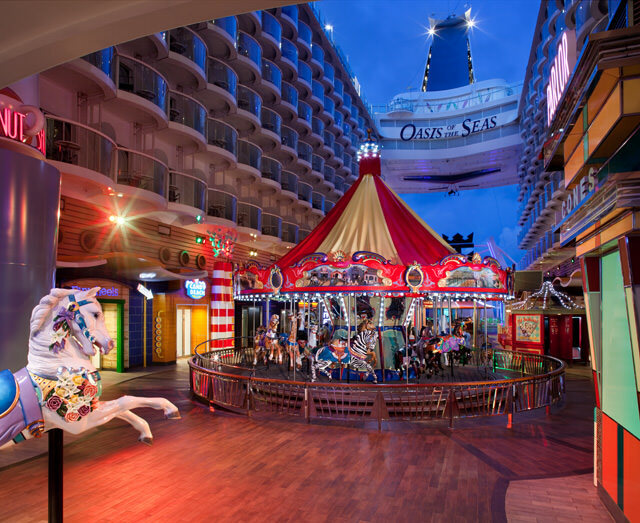 Oasis of the Seas: Big Thrills for Kids! Video: World’s Largest Ship, World’s Largest iPhone? Apple iPhone Rentals For The Whole Family On Oasis? Where Will Oasis Be Sailing? 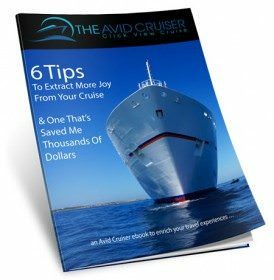 Choose Your Cruise: Is Bigger Better For You? My mother took an overnight or three day cruise many years ago up the Saguenay to Lac St. Jean. I am looking to find a cruise that leaves from Quebec City or Montreal that will take me on a similar cruise. Would you have information on this? Yes, look at Holland America Line for good itineraries from Quebec City and Montreal and the U.S. East Coast. Will there be any new RCCL/ Celebrity ships sailing from NY in 2012 & 2013? Have been on Explorer 5X and would like a change. I am already booked on Silhouette for January. Great, detailed review! Thank you! highlight of the cruise, and it was the reason why we booked in the first place. responsibility and that we couldn’t do anything to get any refunds. delete posts that give bad reviews, and blocks the users. did not pay money to the weather, we did not book a cruise with the weather.